Because we have the experience, knowledge and passion to make our customer’s workplace better. Our past reputation in the janitorial industry precedes us. However, we started this company with the knowledge that our best work is ahead of us. Our history has a proven track record. We have over 60 years of combined janitorial and facilities management experience. Our principals founded South Coast Building Services, one of San Diego’s largest and most successful commercial janitorial companies. We have provided janitorial service to every major commercial real estate owner, every type of major pharmaceutical and medical facility, college campus, entertainment venue, international manufacturing entity, HOAs, small boutique retail outlets and non-profits throughout Southern California and beyond. Our knowledge of this business is like no one else because we were the janitors before we became the principals and managers. At the height of our past success, our principals were overseeing 22 million square feet each night and employed over 1,000 individuals. In April of 2009, we started Sandstrand. We matched our past experience with a laser-like focus driving our philosophy and got to work. Eight years later, we have over 400 employees, and currently clean in excess of 15 million square feet a night throughout Southern California. And we know the Sandstrand journey has just begun. Janitorial service is a demanding, competitive industry. Both in what the customer needs and what a provider needs to offer. How do we differ from our competitors? If there is an opportunity to serve our customers in a new or better way, we’ll find it. Or we’ll invent a way to make it work for them. There is nothing we haven’t cleaned. There is nothing we won’t clean. Constant communication, thinking outside of the box, and going beyond what is expected of us is how we work every day. We believe our success is deeply rooted in a stable workforce and a small, strong upper management team with a direct hands-on approach. Constant communication, thinking outside of the box, and going beyond what is expected of us is how we work every day. New employees come to us by current employees. We hire on referral basis only. As a result, our retention rate is among the highest in the industry because we concentrate on the needs and skills of our staff. We encourage all of our employees to be better at what they do. And we reward those who do so by moving forward with us. We have and will always promote from within. Employee safety starts with a strong training program. We believe employee safety starts with a strong training program. All employees receive immediate training in general janitorial procedures, equipment, chemical usage and safety procedures. However, no two work sites are alike. Site specific training is also done allowing our supervisors to show our new employees all the specialized services needed to succeed in their new work environment. Our training program is contains six segments: basic industry training, site specific training, green cleaning, advanced industry training, supervisory skills and management development. Chemical Hygiene and Safety Plan: Details the proper labeling, handling and storage of chemical containers including the maintenance of Material Safety Data Sheets. Designed to document compliance with OSHA mandated employee training and to demonstrate a history of compliance with all aspects of OSHA’s Hazard Communication Standard through quarterly updates. Exposure Control Plan: Designed to document compliance with OSHA blood born pathogen training and to demonstrate a history of compliance with all aspects of OSHA Standards. Written Safety Plan: Designed with the help of Sandstrand’s compensation insurance companies to ensure employee and customer safety, fire prevention, electrical safety, use of personal protective equipment and company safety polices. In our quest to be better, at Sandstrand our training process never ends. As new equipment, technology and supplies come on to the market, our staff is required to stay current in all phases of commercial cleaning. Through partnerships with our suppliers Waxie Sanitary Systems and Johnson-Diversey, our employees have at least 8 hours of continued training and education on an annual basis to stay up to date on correct procedures for safety, tools, techniques and pertinent environmental standards. Management and supervisors receive at least 16 hours of training and education on an annual basis. Our training locations include in-house, at vendor training centers locally and regionally, industry association seminars, manufacture locations and educational institutions. Clear communication is imperative in today’s competitive business environment. There is also the ability to use automated reporting to assist in commercial janitorial work. When our customers want to use automated reporting, we use Clean-Telligent or, if desired, comply with a customer’s specific in-house system. However, we believe strong communication is imperative in today’s competitive business environment. Our success has come from our ability to build relationships with our customers by listening – and responding. Can a software replace that? We do not believe so. We will not 100% automate a process that is inherently human. We invite our customers to call or email us – anytime. The line of communication between our customers to our janitorial staff to principal owners is very, very short. While automated reporting has brought our industry much convenience, we have found there is nothing like talking though an issue at our conference table to ensure we all understand what needs to be done to address and resolve it. And that’s how we do business. Our name alone illustrates the value we place on the environment. 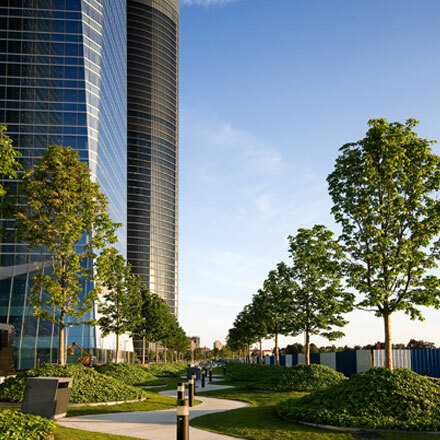 We believe we have an environmental responsibility to our customers, our employees, the community and the planet itself. Green cleaning is the only way we conduct business – it is not an option. As we strive to be better in everything we do, we need the most current knowledge and up-to-date knowledge in the green cleaning field. What we learn, we pass it on to our customers so they can embrace preferable practices to meet their own sustainability goals and green certifications. United States Green Building Council (USGBD): Sandstrand is a proud member of the United States Green Building Council (USGBD). Green Seal: All cleaning products Sandstrand utilizes are Green Seal approved as noted by our supplier. We review and update the products annually or as advised by manufacturers and/or distributors. Carpet & Rug Institute’s Seal of Approval /Green Label Program: All equipment Sandstrand utilizes meets green standards including using only HEPA Level Filtration/Filters and vacuums that are approved by the Carpet & Rug Institute. We understand many of our customers are LEED and/or BOMA 360 certified or in the process of seeking those certifications. Whether our customers need written documentation on the chemicals and equipment usage or assistance in helping their tenants understand recycling guidelines, we believe we can make the biggest impact on the environment by actively partnering with our customers to further the green cleaning mission. 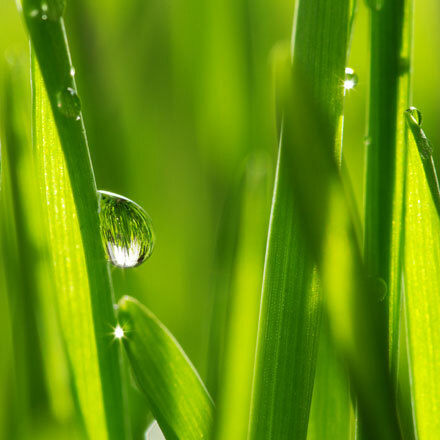 Green cleaning is more than purchasing environmentally friendly product. We realize green cleaning is more than purchasing environmentally friendly product. To be effective, these products must be used properly and procedures must be followed. And our staff is a critical part of the green cleaning equation to keeping our customer’s properties safe, healthy and high-performing. We require all of our janitors to be trained on safe green cleaning practices, procedures, and regulations upon coming on board with us. We have partnered with Waxie Sanitary Supply, our supplier and subject experts in the green cleaning field to assist with green education. All janitors attend instruction for approximately 8 hours when they begin employment. In these classes, cleaning procedures are reviewed and equipment is demonstrated. Green Seal products are discussed and taught how to be properly utilized, stored and disposed of to ensure the safety of everyone. After training, our skilled supervisory staff reviews green practices with janitorial crews on a quarterly basis. We conduct internal audits on a bi-annual basis with spot-check inspections done at random throughout the year. We believe to be successful in any business, you need to have passion for what you do. We are Sandstrand, a privately owned and managed, full-service commercial janitorial company with a simple, and singular driving philosophy: be better. It may sound simple. But it is simple. We came together because we believe our business is not only about cleaning, it’s about people. Our business is about connecting to our customers, listening to their needs and responding with our vast experience and quality service – every single day. Our goal isn’t to be the biggest janitorial company, our goal is to be the best janitorial company. We bring a boutique philosophy combined with an unmatched level of operational success to a very large, very competitive industry. We base our success on exceeding your expectations. And when your expectations are met – we will ask ourselves, how can we be better? 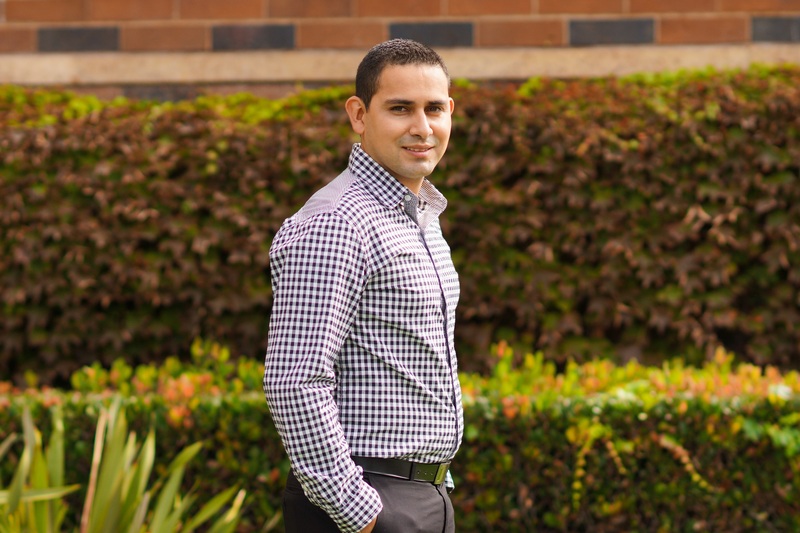 Experience: Early career in real estate development – leasing, management, and construction coordination. Recognizing the need and seeing there was room at the top of the commercial janitorial industry, made the jump 28 years ago and never looked back. Passion: My kids. A 10-pound bass and a 15-pound steelhead. A full moon. Unchartered adventures and remote rivers. The Leukemia & Lymphoma Society. Point Loma Seafoods. Sea of Cortez sunrises. A cold beer. An empty parking space. A crackling fire and a great meal with friends. Solitude. 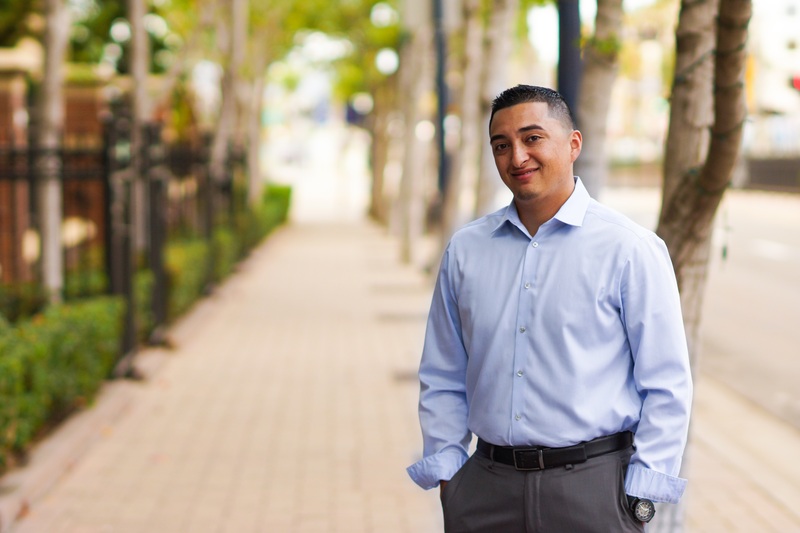 Experience: Jack of all Trades in commercial janitorial industry since a very young age to a confident, positive business owner in a blink of an eye. Passion: My family. Father of 3 sons whom all have a love of sports from Little League to every imaginable sport on TV. From pars to double bogeys … yes, on bad days I may “shank.” Coronado bike rides to Village Pizzeria. Fourth of July Indian Wells Renaissance to “Prost” in Regensburg. Laughs and wine with friends until midnight. Yoga. Family movie night. Play: Torrey Pines Hole #3 to Kauai Lagoons Ocean Course. What show is on tonight? Cold beer in the summer. Golf with the perfect foursome (my 3 kids). Great quiet dinner with my better half. Vegas. Twist (best steak). Driving anywhere there is a desert. Experience: 20 plus years … strategic marketing and branding, corporate communications, public relations, community outreach, customer relations, social media, and project management. Passion: My family – party of 5, plus Sam & Coral. Dear friends near & far. Food Allergy Research & Education. St. Jude Children’s Research Hospital. My stacks of foodie magazines. Wandering the roads in Tuscany. Castelvetrano olives and perfectly aged parmesan. Home grown roses. Elephant’s Delicatessen. Coronado sunsets. Iced black tea lemonade. Fresh air. Play: Great food + better wine + awesome dinner conversations. A great read. Left turns. Making my kids laugh. Sunday dinners. Autumn leaves. Sandy feet. Inspiring movies. … And Duck football! Experience: A true climb in the commercial janitorial industry … from the utility crew, Office Manager to District Manager. Passion: My family. National Stuttering Association. Special Olympics. Starbucks (coffee addict). Sports. Sports. Sports. Volunteering. Friends. Oh and more coffee! Play: Golf, golf, and probably more golf. Baseball. Sports. ESPN. San Diego Padres, San Diego Chargers followed by the Green Bay Packers (my better half is a Cheese head). Hiking. Traveling. A good steak followed by a night at the movies with popcorn and a Red Cherry Icee. Did I mention golf? Experience: All around team player who worked my way from janitor to utility crew to area supervisor and now Operations Manager. Passion: My family including my beautiful wife and handsome baby boy, my career, sports, cooking, being a minimalist and staying organized. Play: Spending time with my son, driving my truck, biking with my little one, being a chef for my family and taking advantage of our area’s stunning beaches. Passion: Family, Mexican and American politics, Mexican soccer league, sport cars, and I love to run …on a track, hills, trails, parks or gym – always running for a cause. Play: A great dinner with family, Rosarito Beach, the beautiful Ensenada wine country, Puerto Nuevo style lobster. Experience: Working my way up from janitor to utility crew, to area supervisor and now landing a great opportunity at district manager. Climbing the ladder has been an educational experience and I have no plans on stopping. Passion: My family. Being the oldest of 4 means being the example. I hope to show them what hard work can accomplish. Sports. Hiking is always an adventure with friends and family. Coffee is my weakness. Experience: 18 years in janitorial services and facilities management. Working my way up! Passion: Family. My dogs. San Diego Chargers and Padres. Los Angeles Lakers. European Soccer Leagues. American Red Cross. USC football. Aztecs Basketball. Concerts. Fun Loving. Singing. Laughing with my wife. Major sweet tooth. Play: Sports fanatic. Movie fan. Vacations. Fun in the sun. Playing baseball. Sunset dinners. Checking out new places to eat. Las Vegas. Experience: Over 20 years in the commercial facility service industry. Started in business a primary day porter and learned all facets of commercial services. 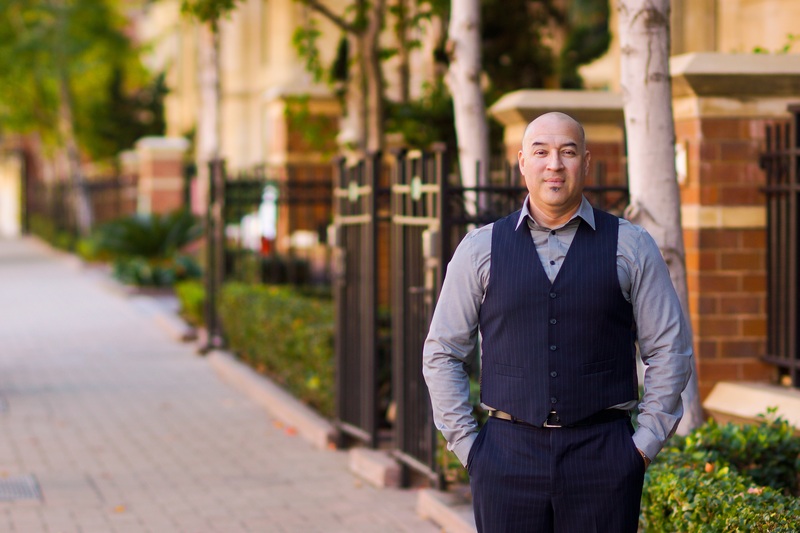 From porter to building manager and evolved to a property manager with two different realty companies in Southern California. With the last ten years spent as a well-round District Manager. Passion: Family & Friends. Traveling with my wife, Irma to new places. Teaching my daughter Lola new things and see her grown. Fan of all San Diego sport teams, I am homer and will always root for SD. Classic cars & drawing free hand. Play: Finding a craft beer to share. Great food with bold favors … any sea food. A green light with the windows rolled down ready to take off. A clean white paper with a HB pencil & kneaded eraser. Passion: Family & friends. Photography. Traveling. Yoga & meditation. Music. Isha Foundation. Health. Being in nature. Sports. Play: Golfing. Taking awesome photos. A great read. Watching movies. San Diego Chargers. San Diego Padres. Los Angeles Lakers. Going on adventures with no idea where I am going or where I will end up. We are proud of what we do. And we are equally proud to have built some outstanding business relationships with our customers. If we are better at what we do, they are better at what they do. It’s that simple. “Sandstrand has been one of our key subcontractors to help us bring that finishing touch to our completed projects. They are 100% committed to providing quality service matched with very competitive pricing that has exceeded our construction final clean-up needs. We look forward to continuing our business relationship with them for many years to come.” Tony Caliger CFO of Innovative Tenant Improvements, Inc.
“We have very distinct properties with unique needs and requests. As such, we appreciate vendors who can think outside of the box to find and implement solutions to those needs. Sandstrand is a great example of a company who not only can meet your requirements but exceed them. For a janitorial provider, they continually go above and beyond their scope of service to accommodate our needs as staying best in class.” Mike Senior Director, Asset Services, Alexandria Real Estate Equities, Inc. Looking for better janitorial service? We’ll work with you to create unique solutions for your unique needs. Stop by… we look forward to seeing you! At Sandstrand we’ve built something special; a janitorial company that is dedicated to providing better service for our customers and better lives for our employees. Looking for something better? Contact us and be sure to let us know who referred you.